What more is there to say about the almighty Conrad Schnitzler? 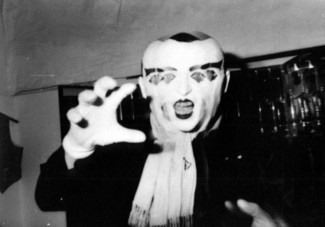 One of the original founders of Tangerine Dream and Kluster (later Cluster), his contributions to the world of German experimental electronic music have been enormous. With album, cassette, and cd releases miles long, his discography would take a lifetime and a pretty penny to catch up to. 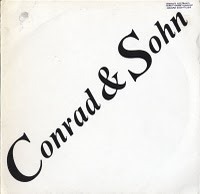 'Conrad and Sohn' is a pretty unique release, even for Schnitzler. The album was a private press release that he did with his son in 1981. Apparently it was only given to friends and family. Some really great and bizarre sounds on this record. Mutated vocals and modular synths, with rhythm boxes and drum machines. It's schizophrenic nature fits perfect for a mutant/cyborg dance party on an outer space galaxy. If you are a fan of Louis & Bebe Barron's infamous 1956 electronic sci-fi soundtrack for the movie 'Forbidden Planet', and early 80's mutant damaged synth weirdos, then this is the album for you.